Hello everyone! So happy to be returning today (after such a long time, I know…..), especially because I came to share a project I’ve been working on for a few months now. In conjunction with Saffron Gatherers, I am announcing that I will be holding two beautiful retreats in Greece this fall. 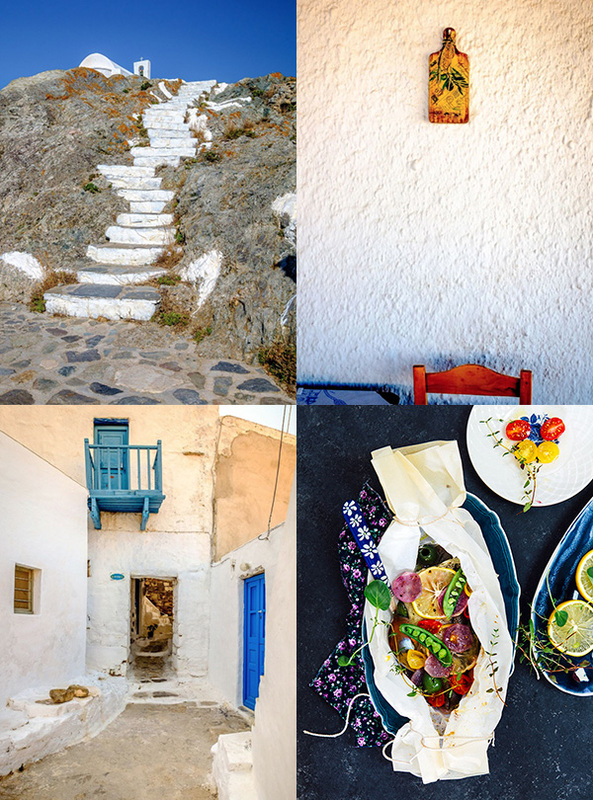 Have you always dreamt of spending time to explore and photograph the blues and whites and the nooks and corners of a Greek island? I have! And I cannot wait to be able to make this adventure happen and take you there with me. 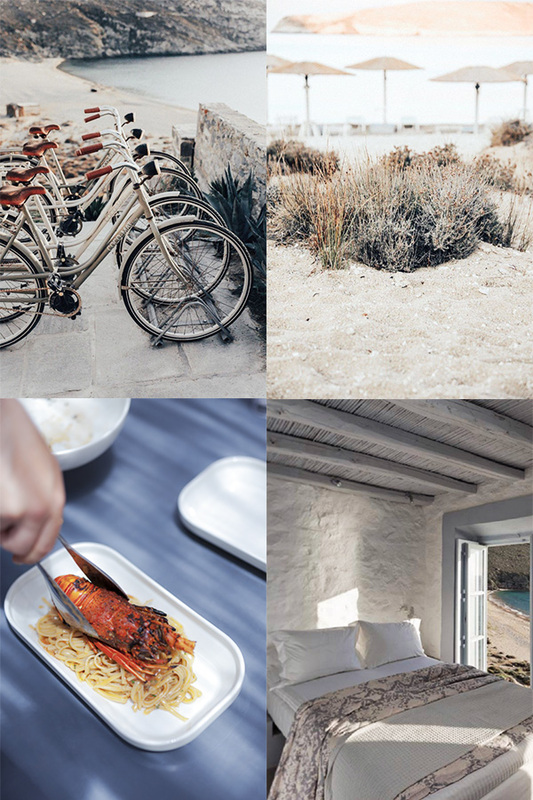 Join me for a fabulous five day retreat (2 set of dates to choose from) staying at the beautiful residences Coco – Mat Eco on the exceptional island of Serifos in Greece. Coco Mat Eco residences are houses built in respect of both local traditional architecture and contemporary eco friendly practices. The lodgings are simply stunning. 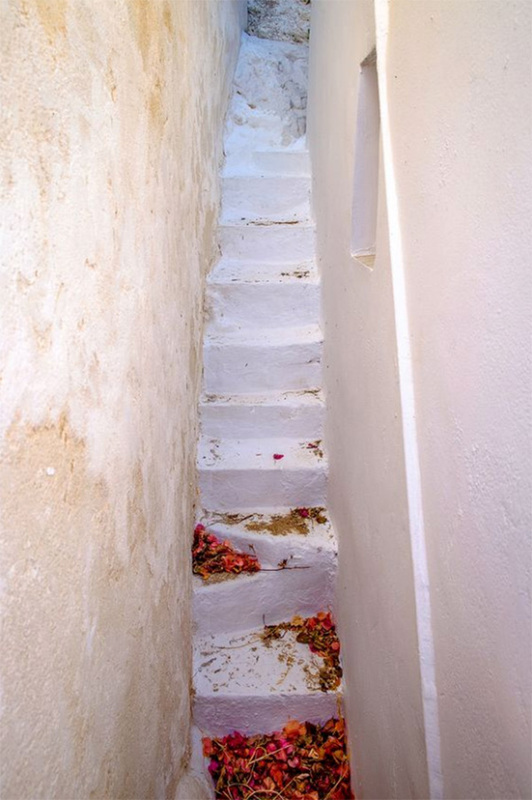 Located by the lovely Vagià beach, the hotel invites you to ease up and slow down, and enjoy an authentic Cycladic experience away from the hassle of tourists. 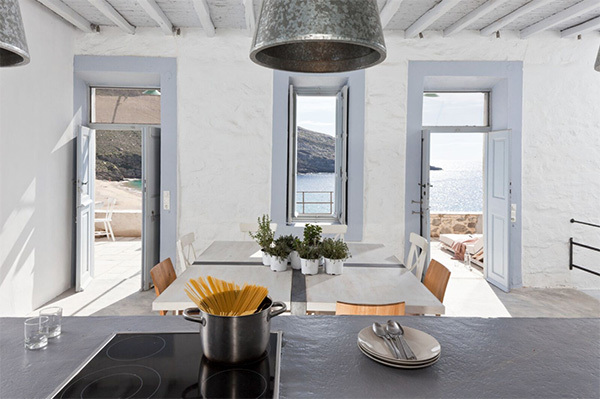 In this retreat, we will embrace this splendid setting by the beach, and gather for food styling and photography sessions and inspiring local activities (cooking, pottery making) and touring. During our time together, we will discuss DSLR camera basics (ISO, aperture, speed, and white balance, all camera knowledge to use during the entire retreat if you are not yet familiar with the basics), light, composition, and styling. 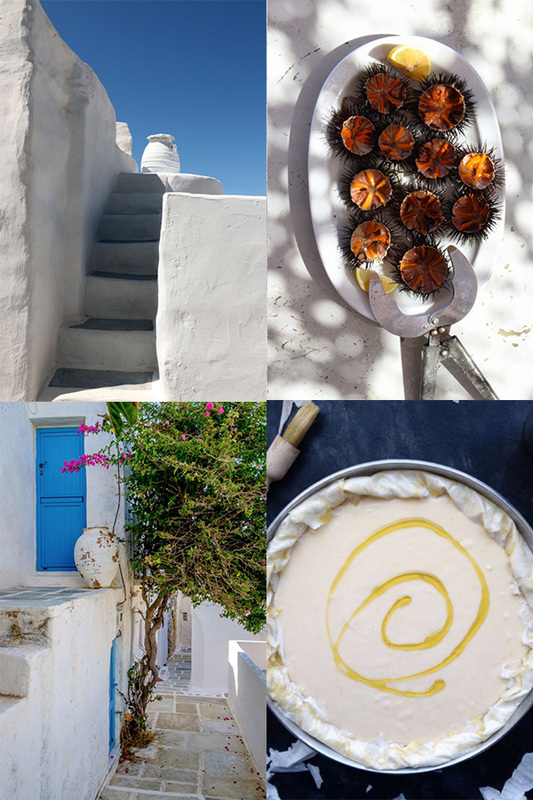 I will take you through the process of utilizing natural light (especially warm and photogenic in Greece in September) to create a composition and photograph food images with the mood you envision. 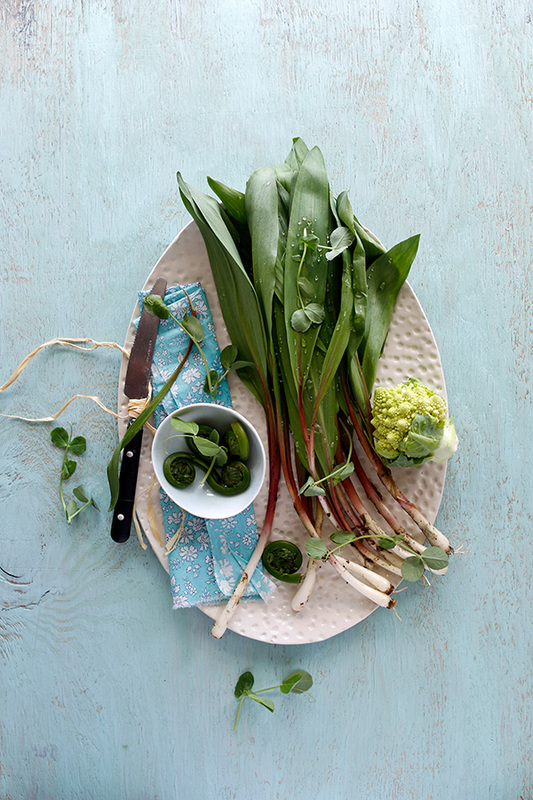 * how to choose the right props to create images that tell the story you want. We will also discuss how important it is to bring the human element in a photo to give it life and movement. When we tour and visit the island, you will have plenty of opportunity to practice landscape photography, and then action shots when we cook together. We will cover photo editing, and go through a traditional workflow using Lightroom and Photoshop–an important step with an image to eventually define your style and brand. And finally, we will take time to reflect and share feedback about the images you will have created, so that you are able to benefit from each other’s creative eye. This is always a beloved time of the retreats I’ve led in the past as collaborative work is key to progress. In between all of it, you will also swim, relax, take in the slow pace of Greek life, make pottery, ride a bike if you want, and photograph and photograph, more and more. The choice of this retreat is meant to offer the opportunity to better your photographic skills and take beautiful photographs to enrich your personal portfolio. To feed your passions. We hope you will leave inspired and enriched with new friendships too. We all need bits of this in the crazy pace of life and our current world, non? 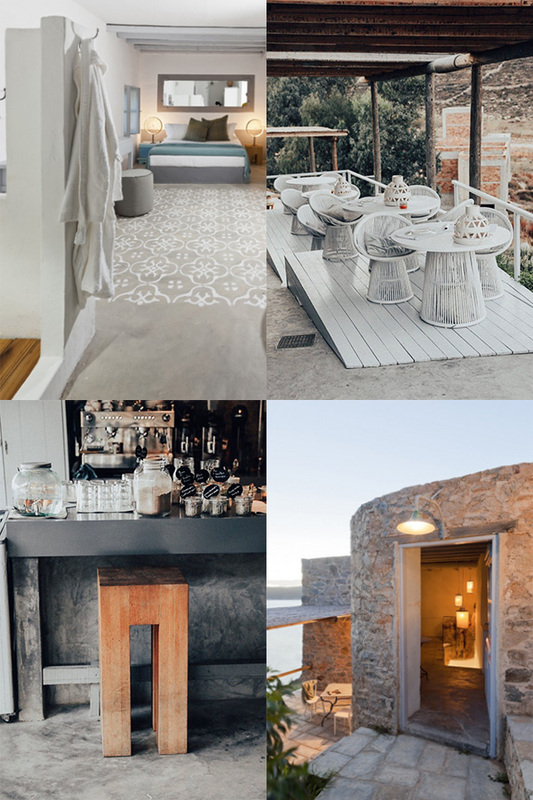 So……if you are interested in one of these two retreats (September is also one of the best times to visit Greece), read on as the details about the contents–and many interspersed pictures of the hotel and accommodation–and the registration process follow below. 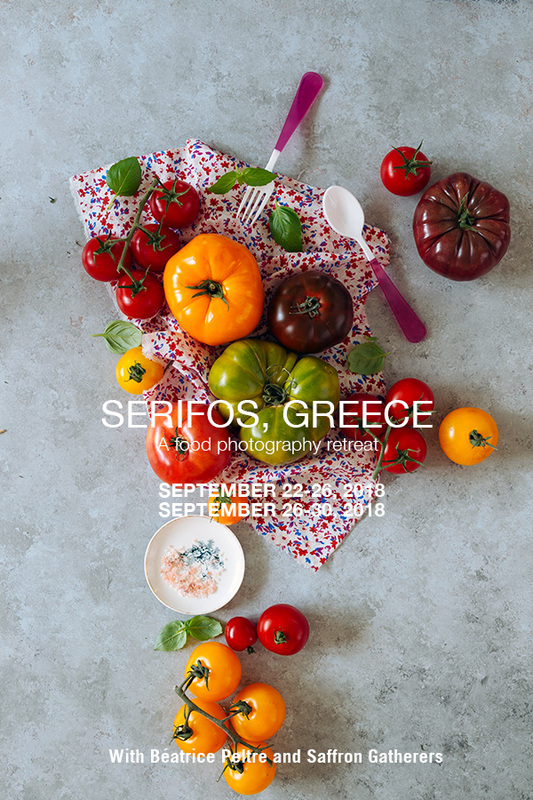 This retreat is open to anyone aspiring to learn more about food styling and photography, to people keen to discover and learn about the slow pace of a traditional Greek island, to food lovers and culinary professionals, food bloggers, cookbook authors, instagrammers, and anyone interested in a wonderful life experience rich in human relationships. You will need to bring a camera (DSLR camera preferred but not mandatory), a tripod and a laptop, and a notebook. We will have many props for you to utilize. 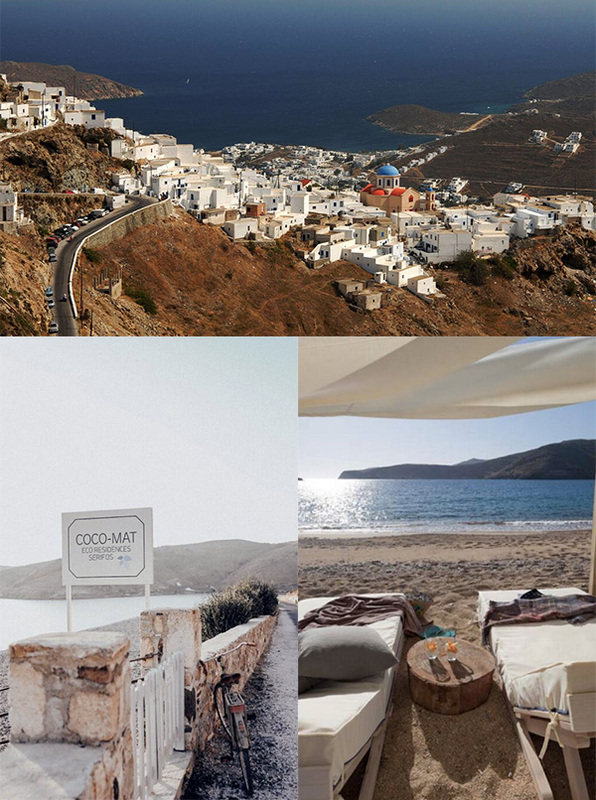 * 4 nights in single occupancy at the fabulous Coco Mat Eco residences** by Vagià beach on Serifos island, Greece. * 4 gourmet dinners (including wine and cocktails). 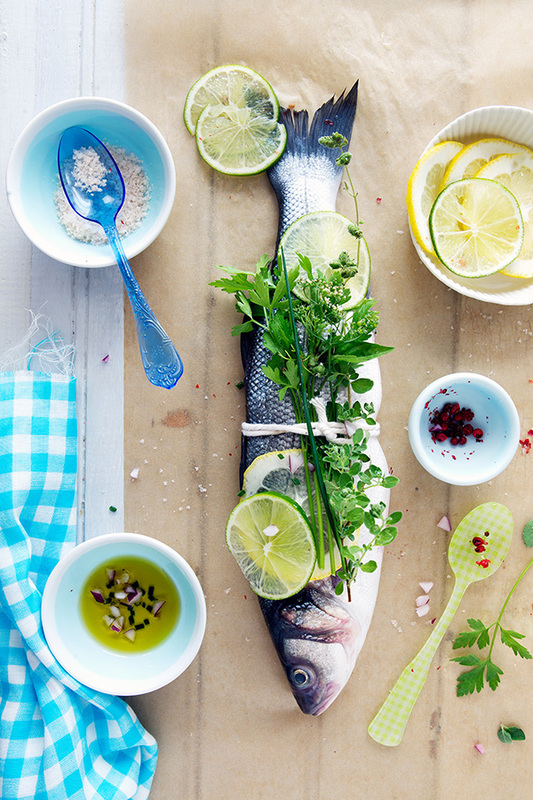 The food is prepared with local Greek ingredients. Vegetarian options are possible so please let us know about your food restrictions beforehand so that we can make the necessary arrangements. 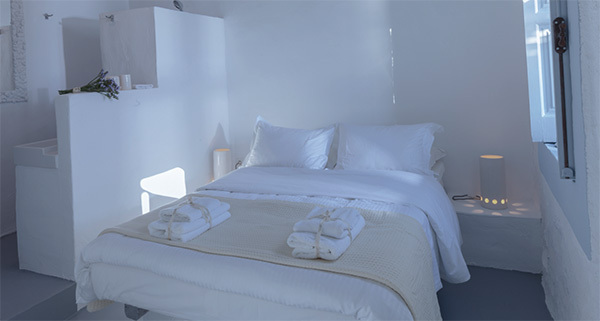 ** Rooms are based on single occupancy (every room has a double bed). Airfare to Athens, Greece; ferry tickets to/from Serifos island (port of Piraeus); travel insurance (recommended as no refunds are offered once registered. Deposit: 50 % of the total cost: €1.350 (due when a spot in the retreat is confirmed via email by Saffron Gatherers; Balance due on August 10th, 2018 . The space is limited to 10 people for each retreat. Please make sure you can make it before completing registration. There will be no refund for this retreat due to the logistics involved and upfront costs.Travel insurance is highly recommended in the unlikely case of natural disasters or other unexpected events. According to the current ferry schedule, arrival at the port of Serifos will be between 6:30 and 7:00 PM. We will meet you at the ferry and drive together to Vagià bay located just 6.5 km / 4 miles from the port (10 minutes). Distances in Serifos are rather short and we won’t need more than 35 minutes to travel even to the most remote places of the island during the retreat. Arrival at Coco-Mat Eco Residences and room allocation. Welcome drinks at the reception and dinner at the hotel to get to know each other and feel the aura of the place. Travel tip: Please ensure that your flight to Athens arrives no later than 1:30 p.m. today. If you prefer to arrive one day in advance, we can recommend a central hotel to make a reservation. There are a lot of things to do in Athens if you arrive early. You may visit the Parthenon and the Acropolis Museum, wander through Plaka, Syntagma, Thissio, Monastiraki -the historical center of Athens- or take a Square Walking Tour with a professional guide, while at the end of the day you can enjoy your dinner in an open-air restaurant. 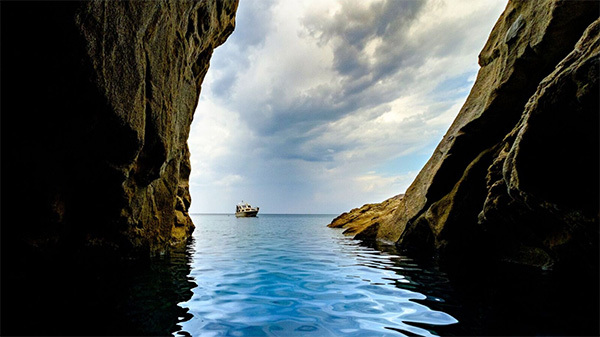 This could also be the perfect opportunity for you to visit Greece and the Cyclades. Hop on a boat and visit more islands. If you’re looking for a hotel, we can recommend some great options. Ask us for advice on what to do on the island. After breakfast at the hotel we will start with a first food styling & photography session, introducing the basics about how to use your camera (DSLR) manually. 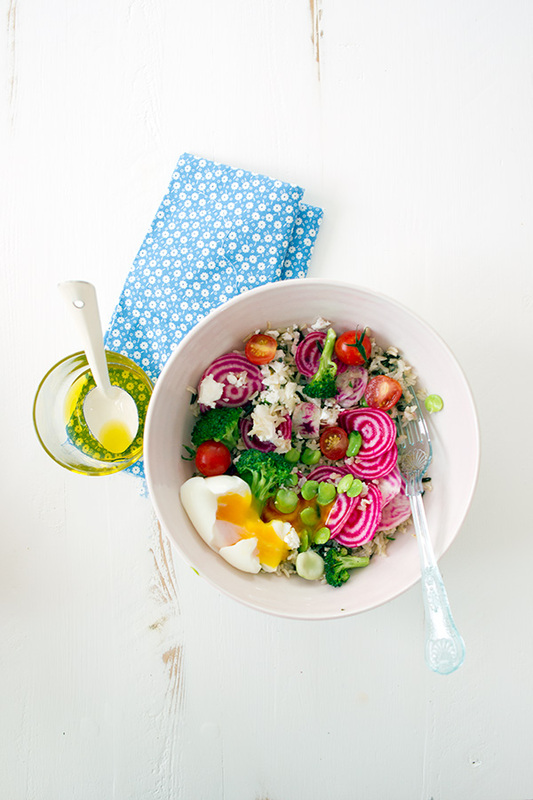 Béa will guide you through her typical workflow to build a food image. We will have a variety of surfaces, props, fabrics, and local produce at our disposal for the session. After lunch at the hotel, we will take a rest to enjoy the crystal clear waters of Vagià beach in front of our hotel. Later on we will drive to Chora to visit the castle at the top and walk in the alleys among the chalk-white houses in order to capture the elusive golden hour, when light is red-orange and soft -a brief window of time elsewhere but long in Greece. The view from Chora and the light before and during the sunset is unique and every minute is precious. Diner will be enjoyed in a traditional restaurant in Chora. After breakfast at the hotel, Béa will lead a second styling & photography session on the terrace and the beach nearby. 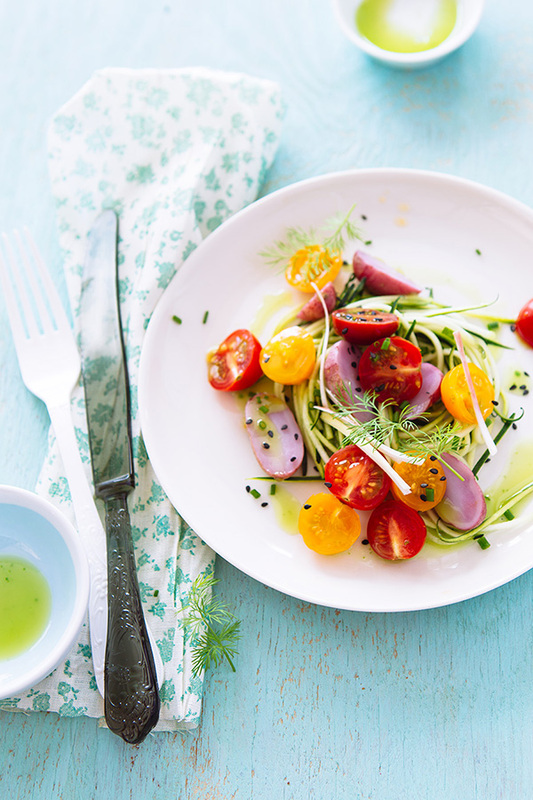 This is a unique opportunity to tell a story of foods connected to their surroundings. 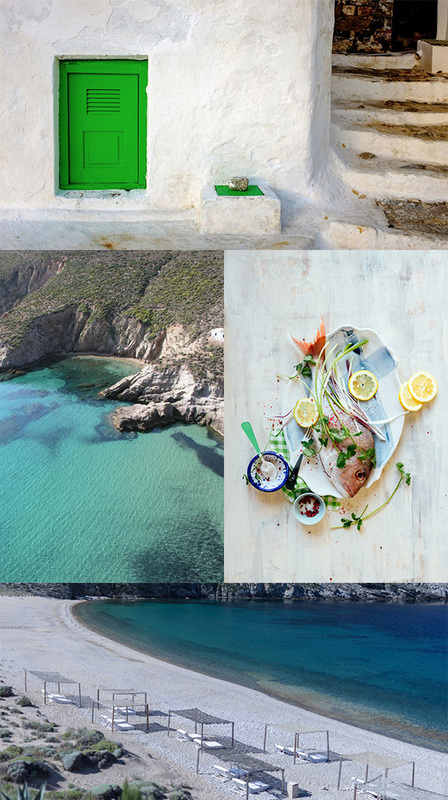 For lunch we will drive to a beachside tavern to experience a meal in a typical traditional Greek island tavern, discovering slow-cooked dishes of totally hearty Greek food, prepared by a local cook who is considered an expert in real Greek home-cooked food. After lunch we will drive to Chora for the thematic workshop “Play with clay”, held in a local ceramic studio. Then we head out for an afternoon tour of the island. 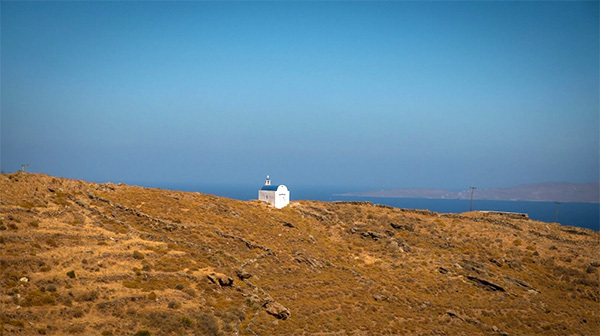 Serifos has a long mining history. Its soil is rich in mineral ore deposits, so the island quickly prospered thanks to its various mines and in the past it was known as “the Iron Island”. Today rusting trucks, railway tracks and parts of pithead machinery lie abandoned on the island’s hillsides and several galleries are actually open to visitors in the southwest side of the island. The place is very interesting for photographic exploration; there is a magical atmosphere in which time seems to be standing still. 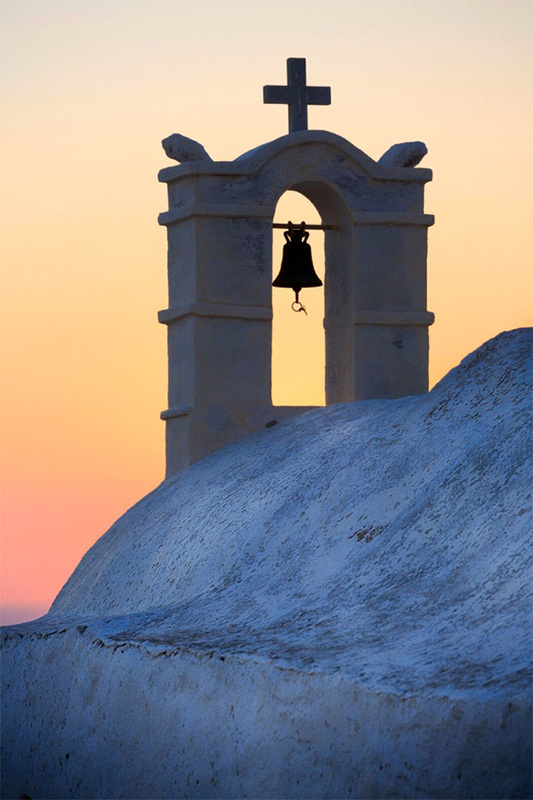 Serifos also boasts an impressive 116 churches and sanctuaries that ought to be admired. We will visit one of them, the Taxiarchon Monastery – a 16th-century monastery – and then we will drop by the Chrysoloras winery, where the owner and winemaker Christos Chrysoloras makes bio certified wine with a local grape variety called Serfiotiko, which produces a unique white wine. Dinner will then be enjoyed at the hotel. After breakfast at the hotel, a talented chef will teach you how to cook a special dish of Greek cuisine and a local cook will guide the group through the basics of traditional “filo pastry” for a Greek pie (“pita-making”). Most home cooks in Greece do not use the store-bought thin sheets of “filo”, since they make their own: a thick, crunchy “filo” made with olive oil. This “filo” can be used for almost all Greek pies and since it has no butter, it is a crust that can be used in vegan recipes as well. After the cooking class or after lunch (depending on the preferences of the group) Béatrice Peltre will give you a hands-on training on how to best process your images, have review and critique sessions, in order to help you go home with images that are ready to be printed or put online, sharing her favorite tips, tricks, and shortcuts to get you ready for Lightroom (if you are a beginner). Lunch will then be enjoyed at the hotel. In the afternoon we will rest and and spend time swimming at the beach, walking or riding a bike in the area until dinner time, when we lay the table on the beach. This again will be an opportunity to capture the elusive golden hour when the light is perfect for photographing the dinner table at sunset in front of the sea on Vagià bay. That afternoon will be an ideal time to soak in the peaceful Greek life by the seaside– wearing your swimming suits for the day if you wish, since formal attire is not required at dinner. Dinner will be an occasion again to raise our glasses to scrumptious food and good health as a seal of the new friendships made. 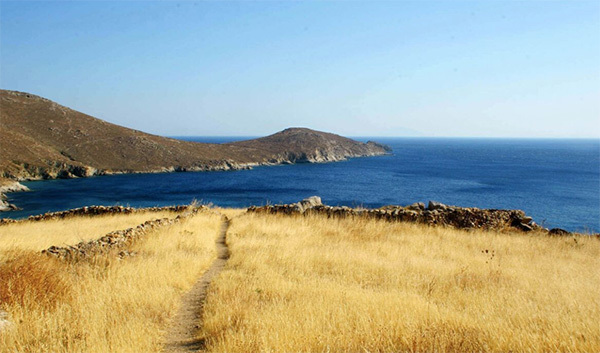 After a good, soulful breakfast you will pack your bags and be driven to the port of Serifos where we will say goodbye. You will board on a ship and sail to the port of Piraeus (2.5-hour trip). The Athens International Airport “Eleftherios Venizelos” is approximately 45 km/27.96 miles from the port (50 minutes by taxi). More information regarding travel arrangements will be sent to you after registration. This is a prospective itinerary. It is subject to modest modifications, dependent on local weather, new opportunities and the preferences of the group. About Saffron Gatherers: A team of film production professionals who love to tell untold stories, to capture unseen pictures, to seek out the perfect location, to wait for the perfect light. One of the most compelling elements about our retreats is to bring people from all over the world together and ensure that we have the best conditions to share common passions and knowledge. Join us to make “creative zones” beyond borders and boundaries and become THE GATHERERS of precious ingredients and cherished moments, soulful dishes and joyful experiences, new friendships and up-to-date knowledge, strengthening in this way human interaction through the Mediterranean culture, lifestyle, diet and the astonishing beauty of Greece. Beautiful photos! Sunsets and delicious food, two of the best things about Greece. Can’t wait to return. Great post, really beautiful trip! I love to come back here! Really interesting & beautiful pictures. Is there any way to contribute to your site? Beautiful pictures, like always! 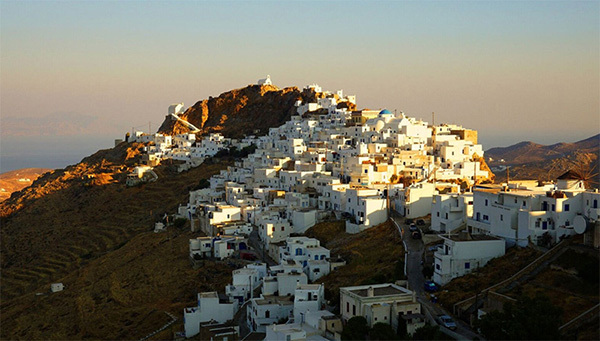 Serifos looks really amazing, i wish i could there. I wish I could go! I would love to visit Greece and learn more about cooking there. 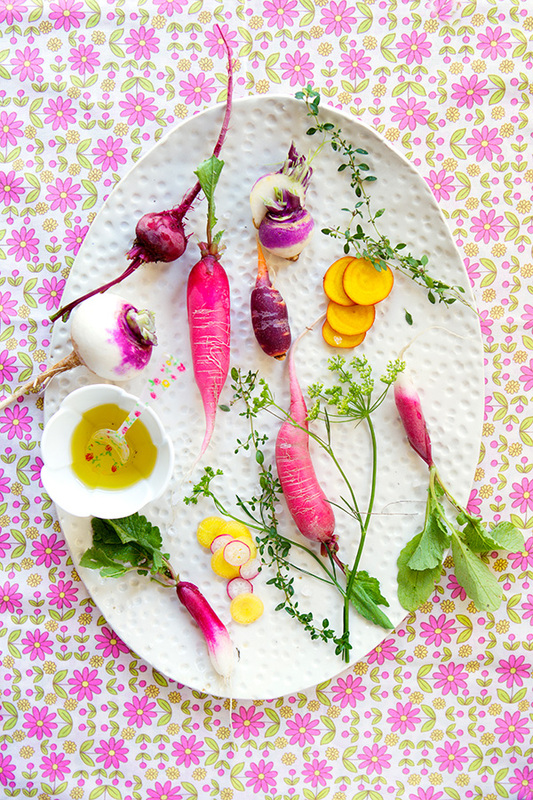 Béatrice Peltre is a food writer, stylist and photographer working out of her home studio in Boston. She is a regular contributor to the Boston Globe Food Section, and her work has appeared in many publications such as Saveur, Food and Wine, Whole Living, Fine Cooking, the Wall Street Journal, NPR, the Huffington Post, the Washington Post, the Chicago Tribune, Edible Boston, Living France, the New York Times Diner’s Journal, and in many other international magazines. Copyright © Béatrice Peltre 2005–2019. All rights reserved. Photo licensing info. Hire me as a food photographer. And remember to eat something nice today. 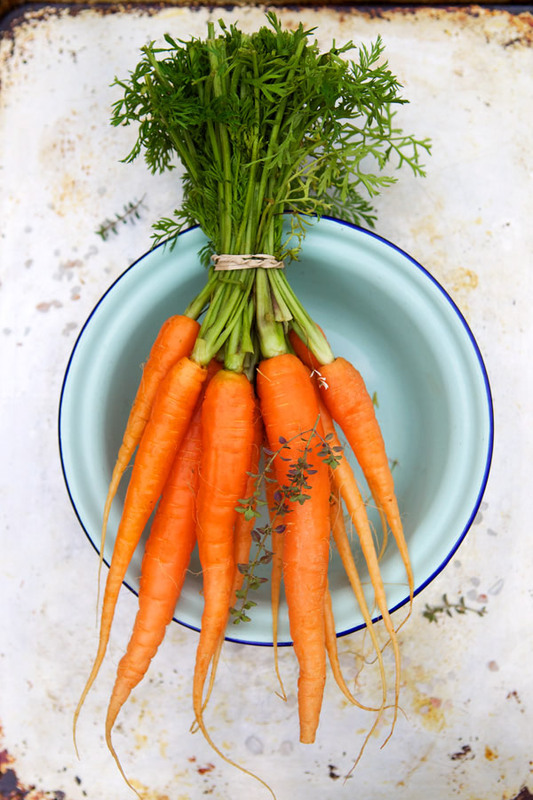 Here are two easy ways to get blog updates from La Tartine Gourmande (in case you don't come back every day). You can subscribe via an RSS feed.